The installation is equipped with an in-water emptying and singulation system. 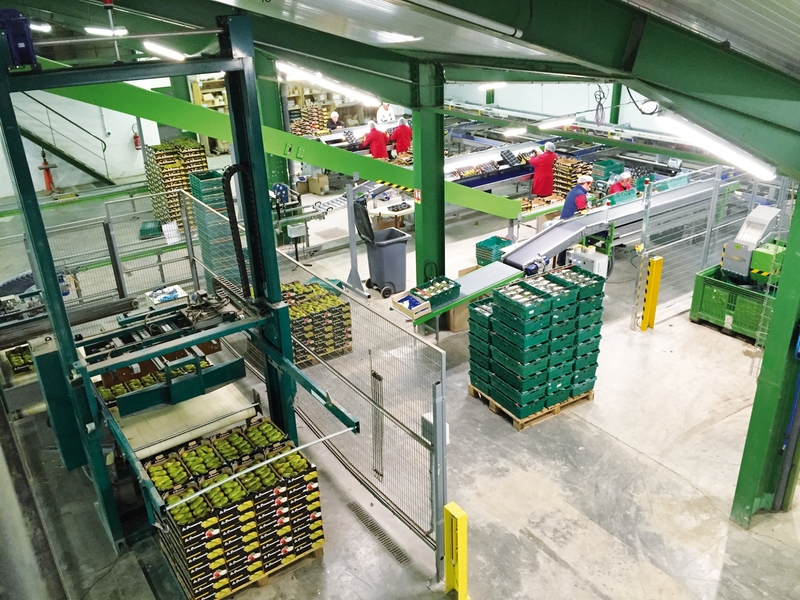 Using an AXONE grader specifically designed for pear, the solution is completed with GLOBALSCAN 6 optical sorting for diameter, length and external defects control. The sorting, process is completed by internal sorting for browning detection with an IDD4- internal quality defects detection equipment. The installation has been designed as well to offer the possibility to allow a pre-sizing on 4 dry bins filler. Vergers du Seru’s fruit station includes as well packaging and labelling tables with the evacuation towards a MAF palletizer. 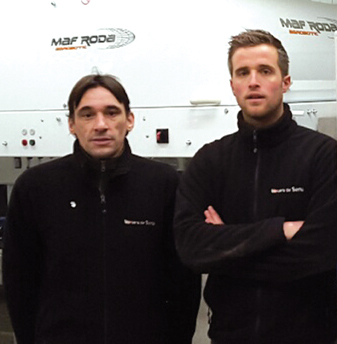 "We are extremely satisfied with the MAF process for the Conference pear. We have chosen the external diameter sorting and internal quality control. 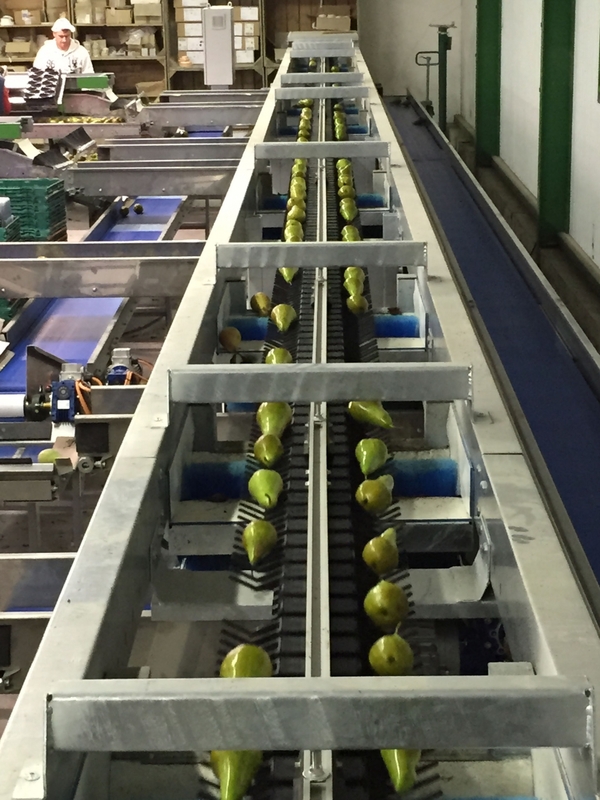 The MAF RODA equipment is highly efficient for this fruit which is complicated to sort out because of its length…. AXONE’s hands allow to carry out fruits lengthwise. It really avoids to have 2 fruits together as with the cup system.